Since I started getting my hair colored more frequently, dry shampoos have been a great support. I try to prolong the break between washing my hair as it makes the color last long. The main issue is the scalp getting a little oily rather than the rest of the hair so that is where dry shampoos save me. My current dry shampoo is the KERATIN COMPLEX Volumizing Dry Shampoo Lift Powder in Neutral (it comes in blonde and brunette shade too). The packaging is very contemporary with clean text. No nonsense, serious design outlook which shows they mean business. I like the compact size of the dry shampoo compared to the bigger spray bottles I have been using earlier. The bottle is not in spray bottle but actually a brush attached to a container with the dry shampoo in powder form. FYI you can actually get refills too! 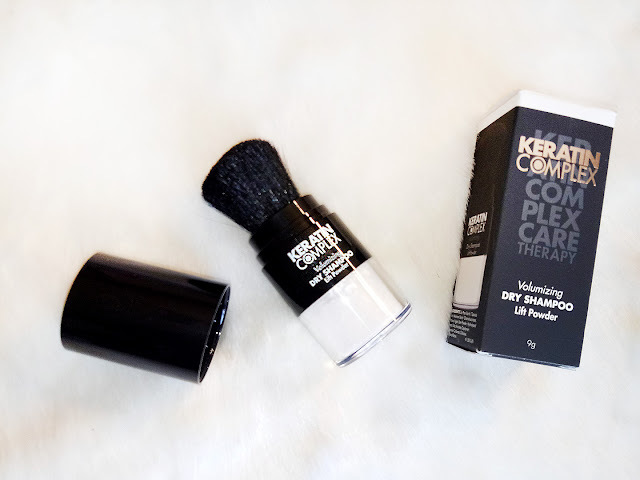 It's easy to apply as you lightly brush on the scalp area only and the absorbent formula of the powder reduces oil, increases volume and odor while cleansing. Doesn't build up (unless you only use this and dont wash at all which would be preposterous!). As per brand: "Helps extend the life of Keratin Complex® Smoothing Therapy treatments and Color Therapy™ services by extending the time between shampoos." 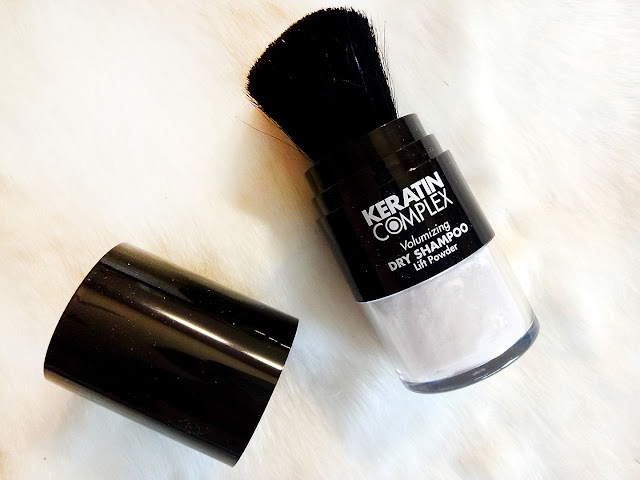 I have been using Keratin Complex dry shampoo with ease and satisfaction. I have to be honest that initially I didn't quite understand the brush on technique and applied more than I should have but finally got the hang of it. Even though it is suppose to have a citrusy smell I didnt really smell much, probably because it is so subtle. It is for all hair types but oily and colored hair will benefit from it the most. I love the compact bottle and I have carried it in my bag on multiple occasions as well as it doesn't take up much space. It also doesn't make my hair look dull and adds shine and bounce instead! You can get more Keratin Complex updates and info from their Facebook page HERE. Keratin Complex Volumizing dry shampoo retails at pkr. 3,800/- and you can buy it from HERE. I am a big fan of dry shampoos. This product looks different from the usual being sold.